Why a window perch is the best thing for your cat? 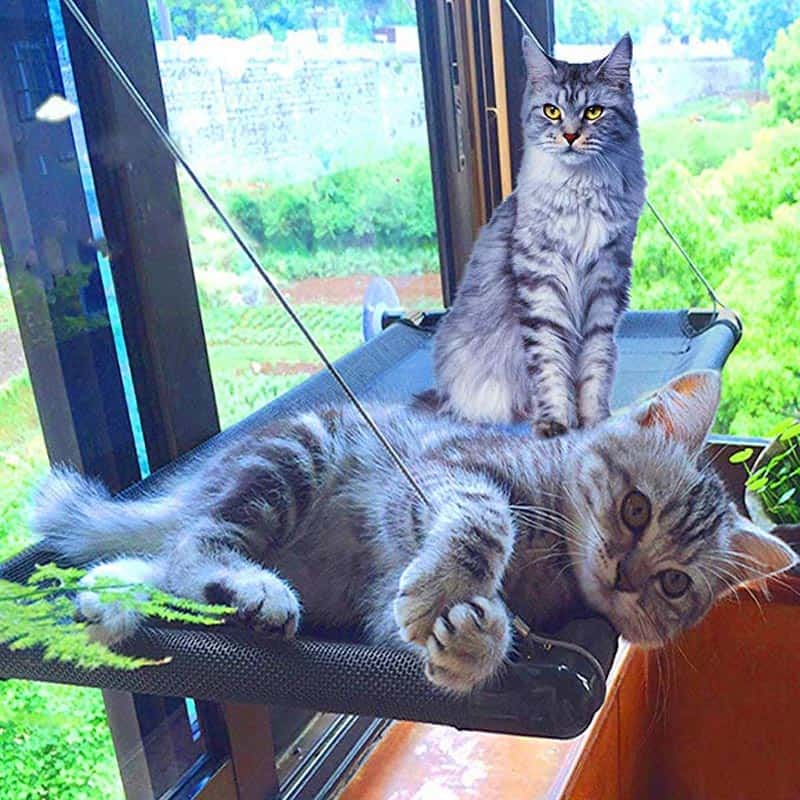 A cat perch can give your lovable feline the perfect spot to catch up on their sleep or a safe place to survey their domain and the great outdoors. The curious cats in your household can keep an eye on their indoor and outdoor kingdoms all at once. 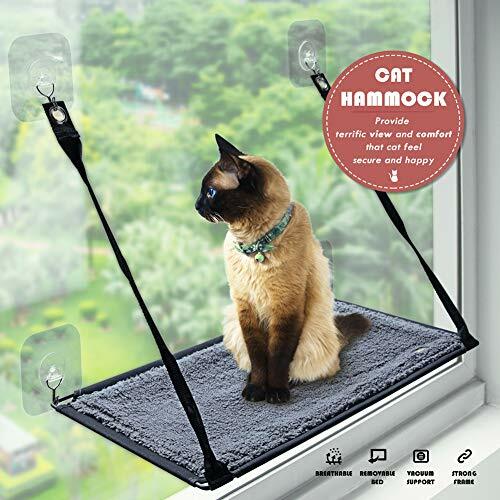 Using patented giant suction cups, all these kitty ledge mounts securely to any window and will hold up around to 25 pounds. There are no tools needed to install, and you can place it at any height either inside or outside the window. 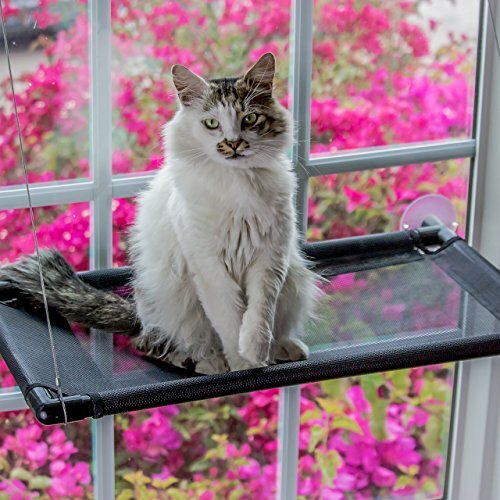 When it comes to finding the right cat perch for your favorite kitty, there are a variety of designs to choose from depending on your cat’s needs. 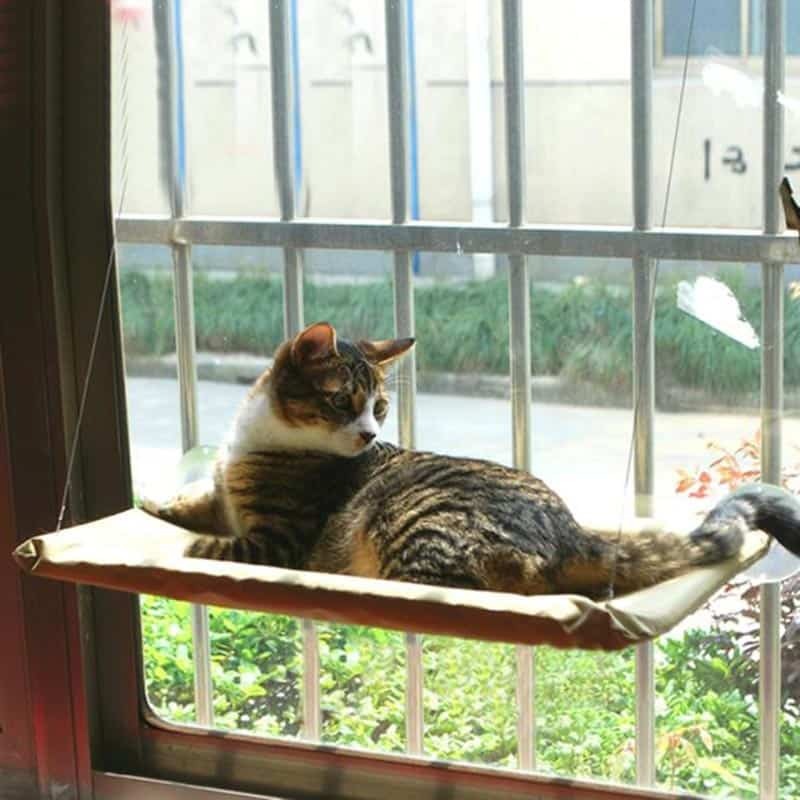 If you have an indoor cat that could do with a little more mental stimulation, then a cat window perch is a great idea. 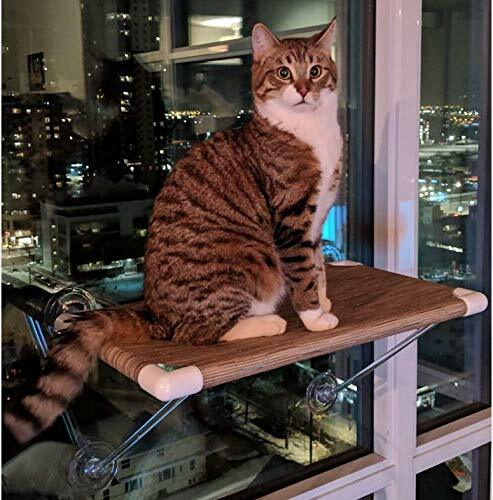 1 Why a window perch is the best thing for your cat? 2.1 1. 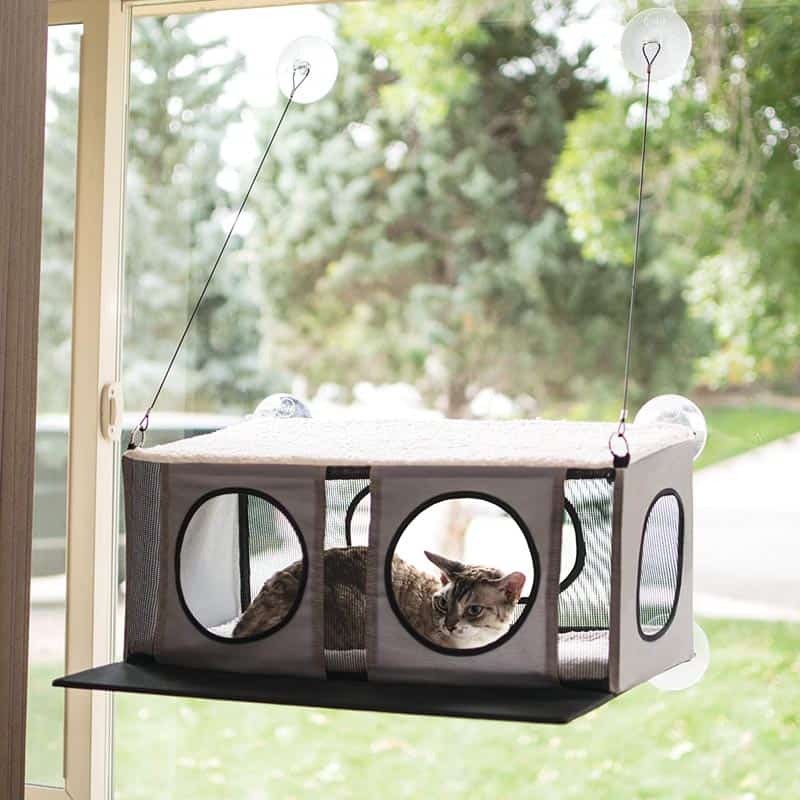 Great for the curious cats in your household, they can keep an eye on their indoor and outdoor kingdoms all at once. 2.2 2. This kitty ledge mounts securely to any window and will generally hold up to 25 pounds. 2.3 3. There are no tools needed to install, and you can place it at any height either inside or outside the window. 3.1 1. Do not attach the Kitty Cot to broken or cracked glass or glass you think may be faulty. The frame is made of lightweight PVC. 3.2 2. Do not put above a heater, near open flame, or in a very hot window location because this may deform the frame. 3.3 3. Do not hang anything on the Kitty Cot except maybe a lightweight cat toy. 3.4 4. Do not put candles on the Kitty Cot or expose it to flames or fire. 3.5 5. If any of your other domestic pets want to use the hammock, they should be the size of a domestic cat only. 3.6 6. 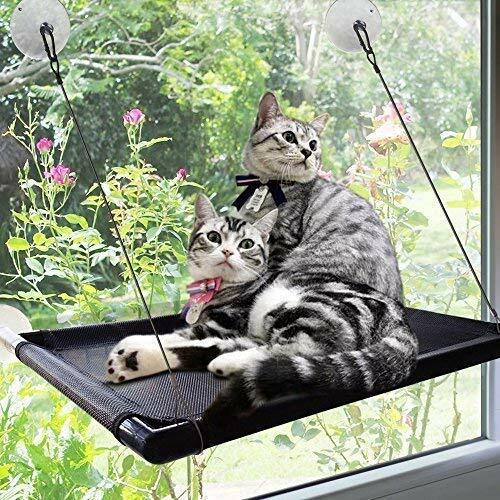 A pet hammock is designed for one or 2 average size domestic cats. 3.7 7. HAZARDS TO HUMANS: Never put child or yourself in the hammock. 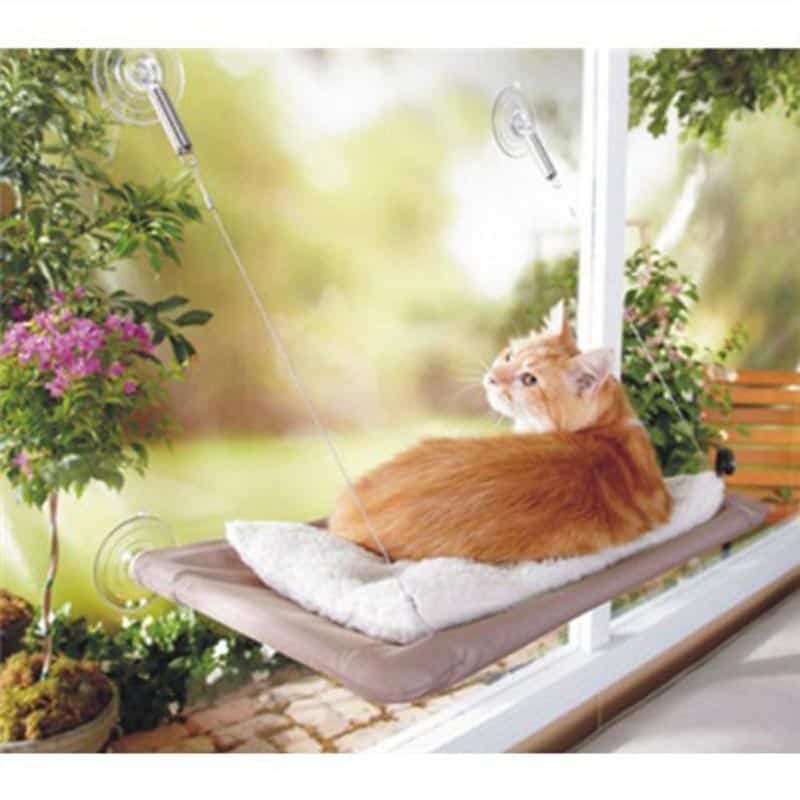 Cats like to bask in the sun,this cat window hammock is special designed for helping cats enjoy a better sunbath. UV can promote the cat’s calcium absorption, let the cat grow up healthily while your cute cats enjoying the sunbath. The hammock is made of tough, weather-resistant fabric that’s easy to clean but also makes a comfy spot for catnaps. Cats love being up high, and with their own special spot, they can sprawl out in the sunlight and catch some bird-watching action in the backyard. 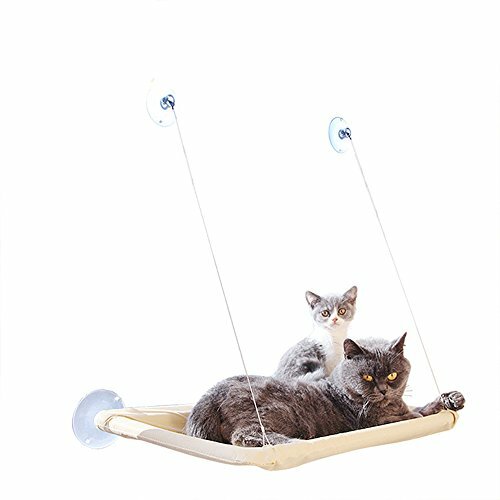 It’s great for keeping your cat entertained, and you can make it super cozy with her favorite blanket or bed on top. 1. Great for the curious cats in your household, they can keep an eye on their indoor and outdoor kingdoms all at once. It is time to say good bye to traditional cat bed. It is well known that cats need take sunbath, couple of hours in sunny days. But, the sun keeps moving, cats also have to move. Well, this cat hammock is capable of solving this problem. Your cat can lay on this resting seat and enjoy sunshine, so cozy. This is a cat window perch and a space saving cat bed. Cats definitely love comfortable cloud outside window and enjoy the view or just sleep under the sun in a quiet afternoon. 2. This kitty ledge mounts securely to any window and will generally hold up to 25 pounds. 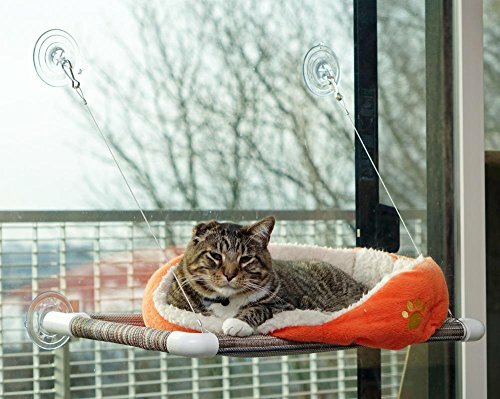 The “Ultimate Cat Perch” has no hanging wires and has stronger for increased reliability. It holds around 80 pounds. Order from here. 3. There are no tools needed to install, and you can place it at any height either inside or outside the window. The hammock is made of tough, weather-resistant fabric that’s easy to clean but also makes a comfy spot for catnaps. Cats love being up high, and with their own special spot, they can sprawl out in the sunlight and catch some bird-watching action! Easily Remove and Washable Fabric – It is made of a breathable plush fabric offering lavish elegance and refined comfort that does not attract allergens or overheat your cat. 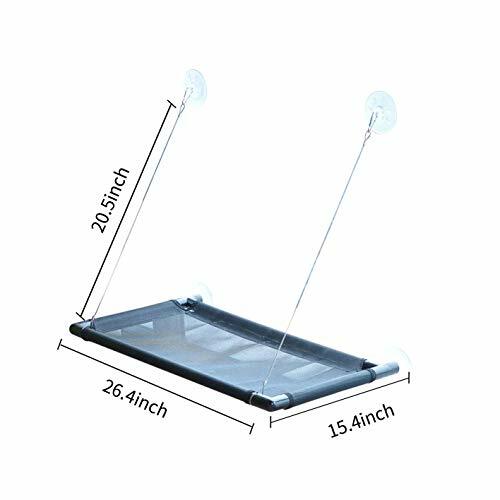 Easy to install – Petfactors cat window perch is a designed to attach directly to your window and perfect works with blinds and curtains, just unhook the upper strings, like applying a screen protector to a cell phone. 1. Do not attach the Kitty Cot to broken or cracked glass or glass you think may be faulty. The frame is made of lightweight PVC. 2. Do not put above a heater, near open flame, or in a very hot window location because this may deform the frame. 3. Do not hang anything on the Kitty Cot except maybe a lightweight cat toy. 4. Do not put candles on the Kitty Cot or expose it to flames or fire. 5. If any of your other domestic pets want to use the hammock, they should be the size of a domestic cat only. 6. A pet hammock is designed for one or 2 average size domestic cats. 7. HAZARDS TO HUMANS: Never put child or yourself in the hammock. Amazon offers plenty of cat window beds that attach to the window or on the window sill, so that they stay securely in place. 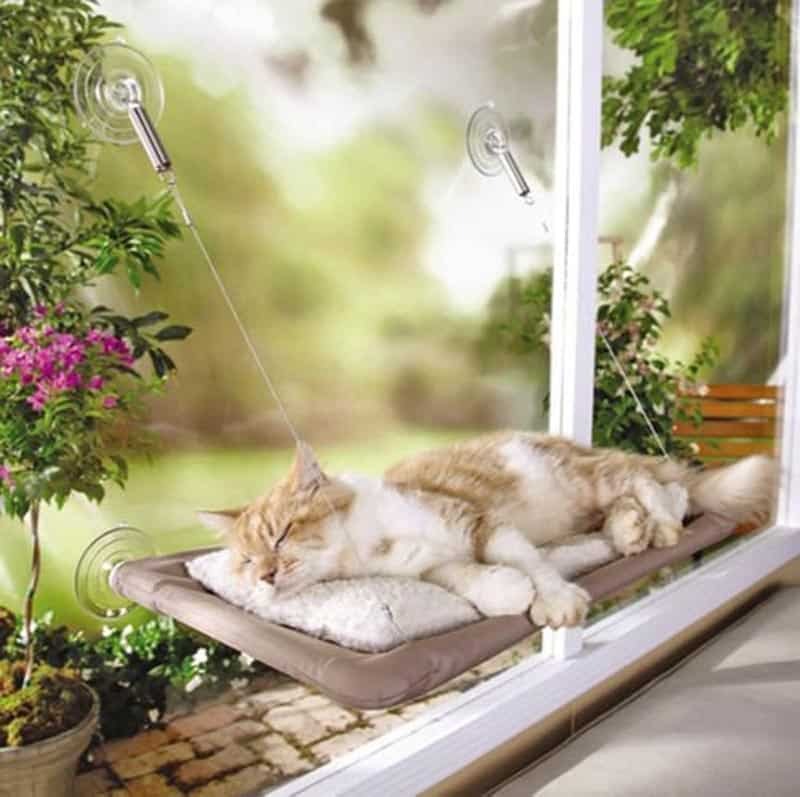 For the cat that loves to look in the garden while is falling asleep, this window seats are perfect. 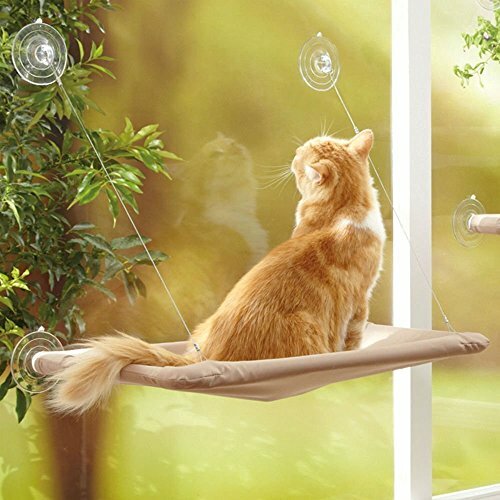 Cats love having an elevated surface to lounge on, nap on and watch nature from, so check out the variety of cat perches that Amazon has to offer to find one that your cat is sure to love. K&H Pet Products EZ Mount Window Double Stack Kitty Sill Gray 12" x 23"
Industrial-strength EZ Mount suction cups hold up to 100 lbs. K&H Pet Products EZ Mount Window Kitty Sill Gray 12" x 23"
Modern Designer Fabric looks good in any home. Pre Assembled. No tools necessary.